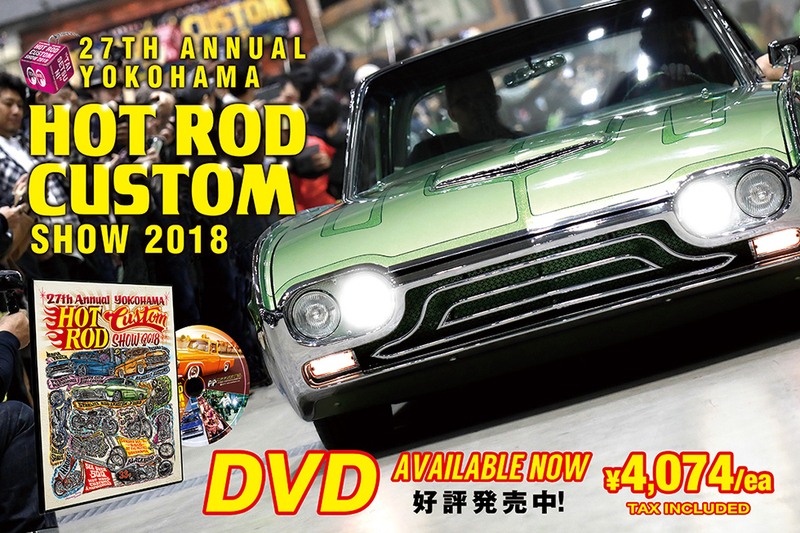 YOKOHAMA HOT ROD CUSTOM SHOW was held at Pacfico Yokohama on Sunday 2 December 2018. Throughout the year we got many suapports to hold up the campaign of "Cherish Our Kulture – 大切に – Tai setsu ni". It is now a 5th year from 2014, keeping the campaign to deter the prohibiting the two-wheeled vehicle riding to the venue (Pacifico Yokohama) and Minato Mirai area. Some people might not know how this campaign started but, by everyone posting and sharing the information by the Instagram, this year, outside the venue was Shizuka and accomplished the wonderful show. This year had the largest number of visitors and we have release the Event Report with the Hot excitements at the day. Even those who visited and, unfortunately those who could not come, please enjoy the Event Report.